Markelle Fultz answers critics who labeled him 'soft' after missing 68 games last year with a mysterious shoulder injury. "There was really an injury. ... I've been back to work this summer and everything is back to even better than what it was," he says. 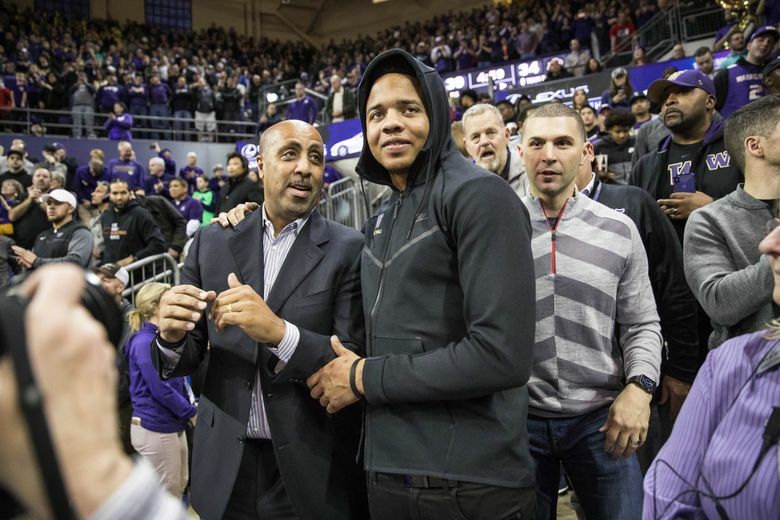 During a wide-ranging The Player’s Tribune interview with Washington Huskies great Isaiah Thomas, former UW star Markelle Fultz fondly remembers his one season in Seattle. The 2017 No. 1 overall NBA draft pick also talks about a rookie season shortened by injury and his plans to fulfill the great expectations that comes with being a top draft pick. However, Fultz didn’t go into great detail when talking about a mysterious shoulder injury that took time before it was properly diagnosed. The 6-foot-4 point guard appeared in just 14 regular-season games with the 76ers last season while averaging 7.1 points, 3.8 assists and 3.1 rebounds. He shot 40.5 percent from the field, 47.6 percent on free throws and was 0 for 1 on three-pointers. It was dramatic decline from Fultz’s freshman season at Washington in 2017-17 when he averaged 23.2 points, 5.9 assists and 4.4 rebounds while shooting 47.6 percent from the floor, 64.9 percent at the line and 41.3 percent behind the arc. Despite Fultz’s brilliance, UW finished 9-22 and the school fired long-time coach Lorenzo Romar after the season. Fultz, 20, is under pressure to return to form for a Philadelphia 76ers team that could challenge for the NBA title. The 29-year-old Thomas, the last pick in the 2011 NBA draft, is also trying to make a comeback from a hip injury that shortened his 2017-18 season. Reportedly, the 5-9 Denver Nuggets point guard will not be ready when training camp starts next week. Here’s a few highlights from the interview.